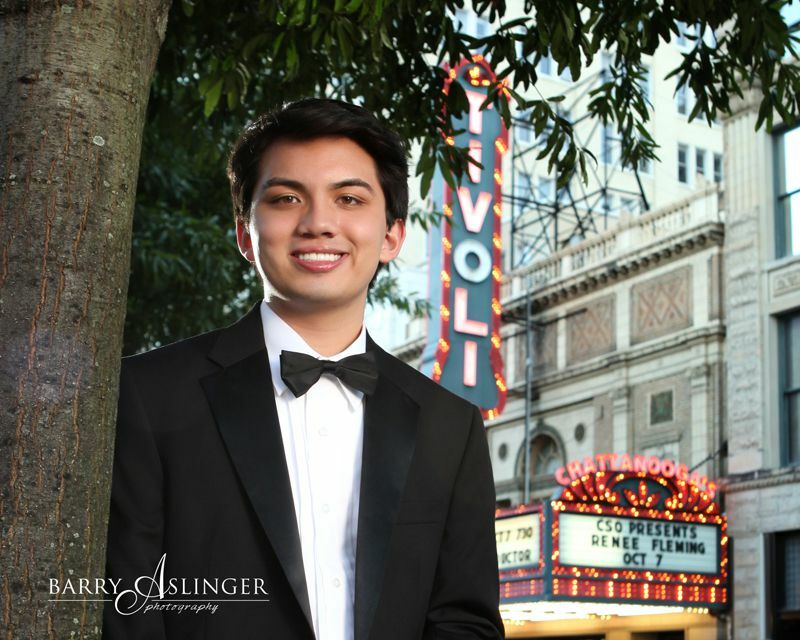 This young man was born with a birth defect where his lip and palate did not completely form. 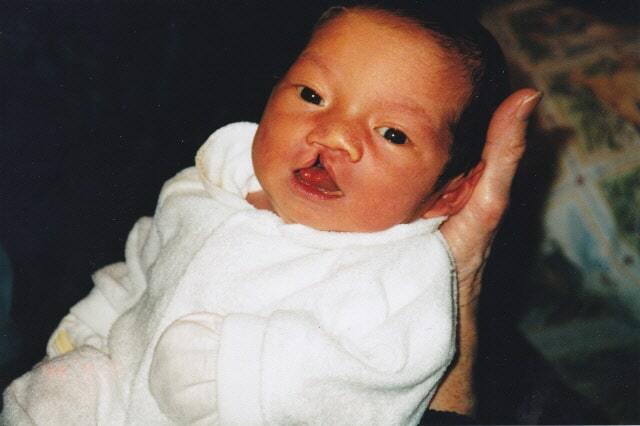 This is called a cleft lip /cleft palate. It is one of the more common birth defects. 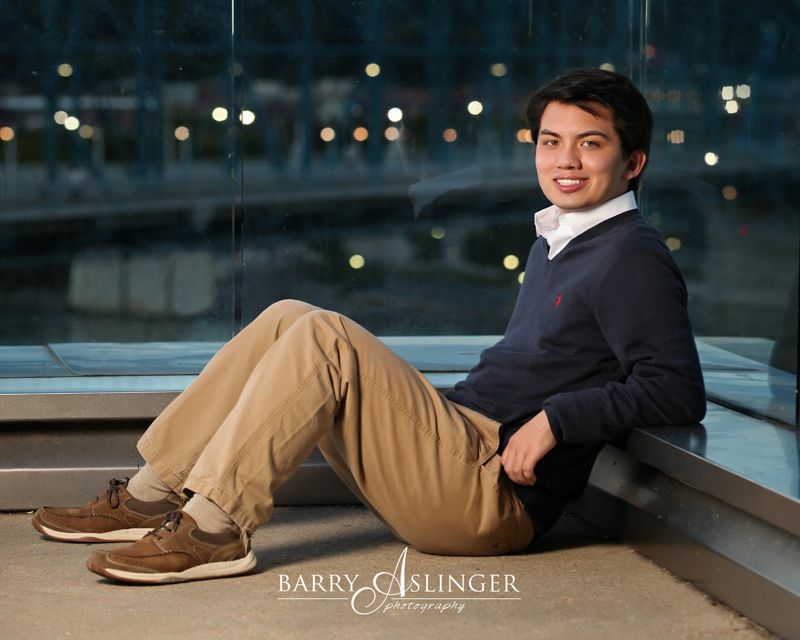 He was lucky to be born in Chattanooga, Tennessee where there is a world famous craniofacial team. 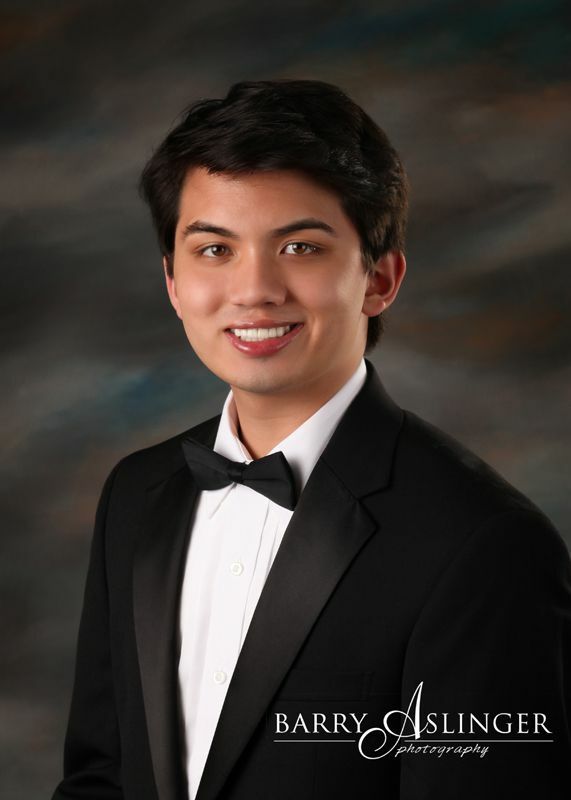 His first surgery for repair was as an infant; it was one of many surgeries. 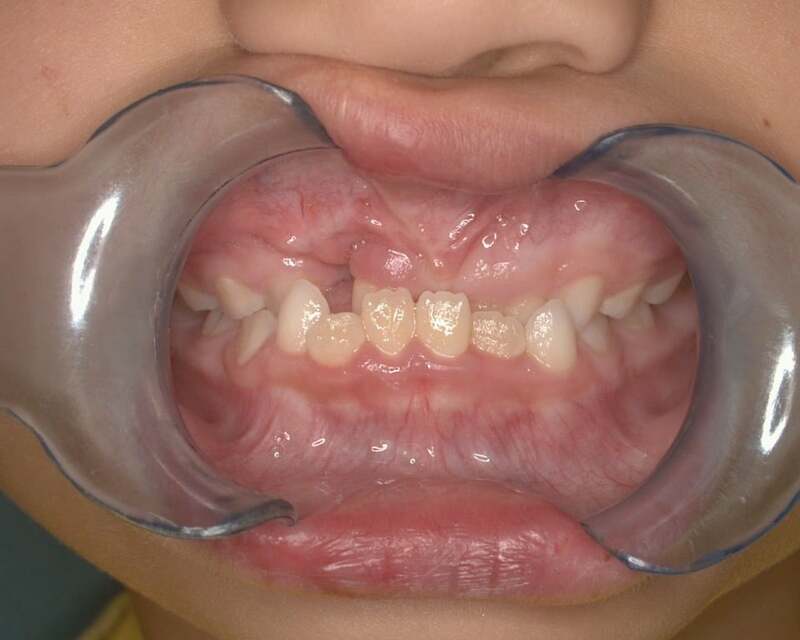 It is very common with this type of birth defect to be missing several teeth. He was lucky that he was only missing two teeth. 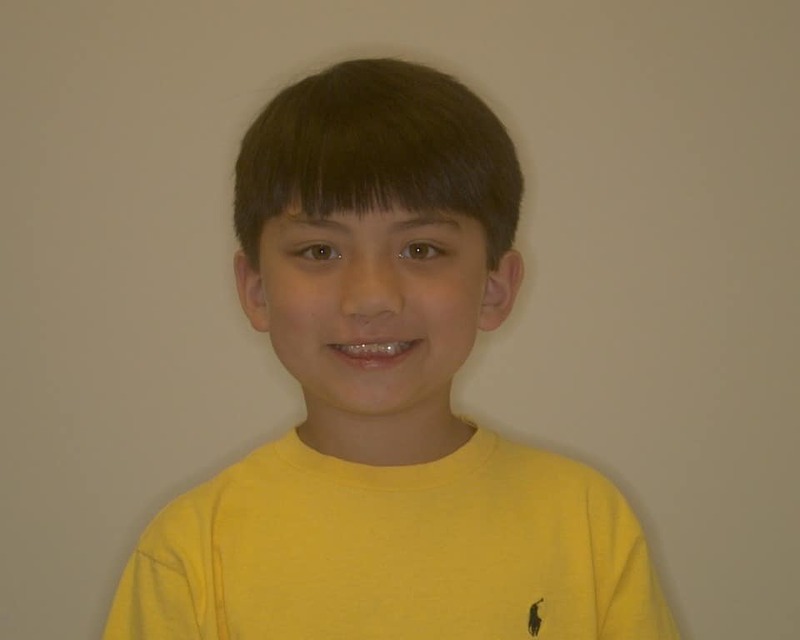 As he grew, he went through several types of orthodontic treatment and two sets of braces. He has been a patient of Dr. McOmie’s from early childhood. 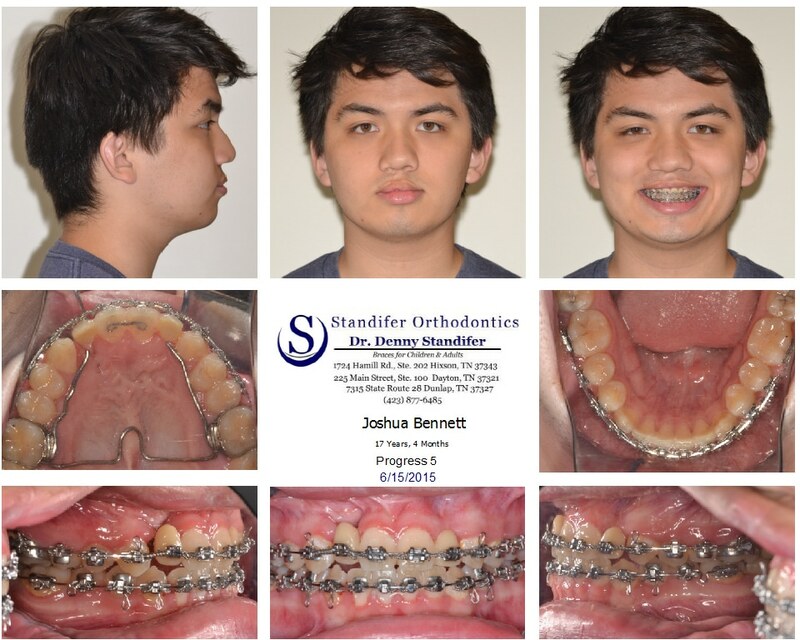 A great local orthodontist did the braces to correct an under bite and help him get his teeth into alignment for Dr. McOmie to give the patient the restorations that could complete his craniofacial repair journey. 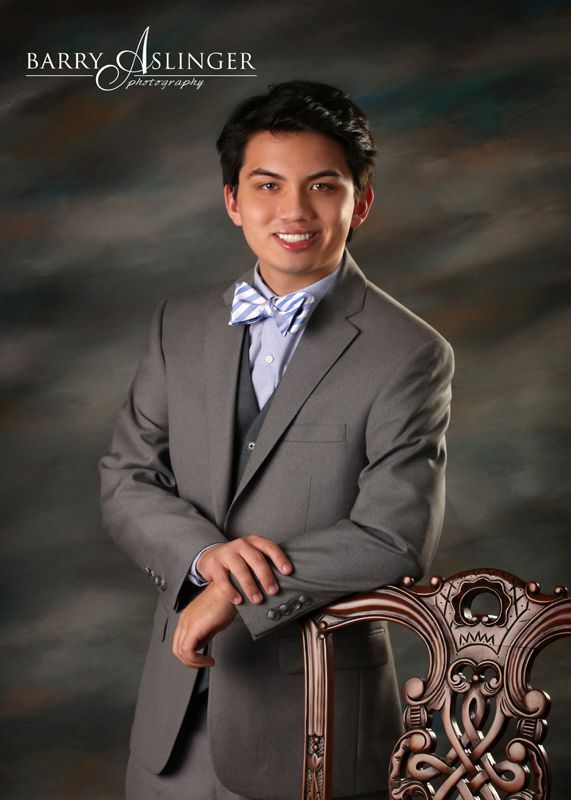 Dr. McOmie took over when the final set of braces came off. 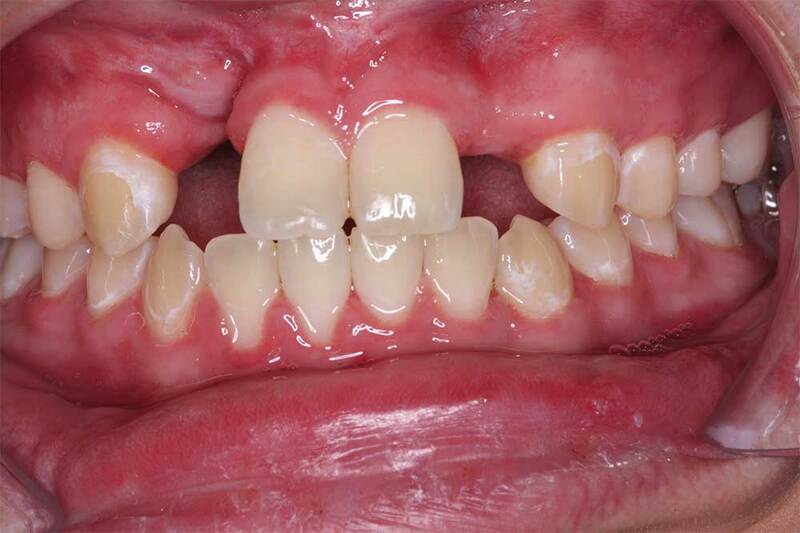 The patient was missing the teeth called lateral incisors. On the patient’s right side there is a significant defect in the bone because he was born without the bone in this area. 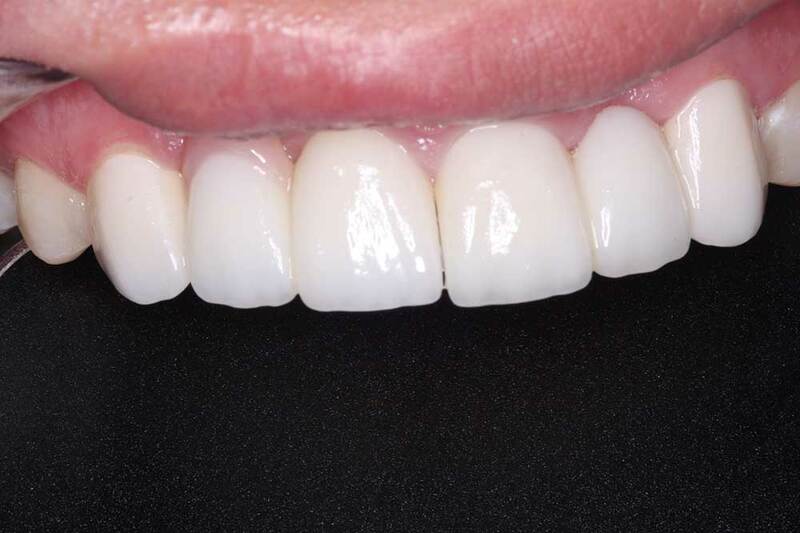 It was decided, due to the lack of adequate bone, that porcelain fused to zirconia bridges would be the best treatment options. 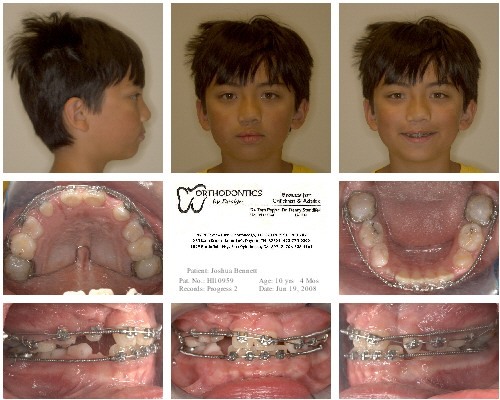 This was decided after much discussion with the patient, his parents, the orthodontist, and Dr McOmie. 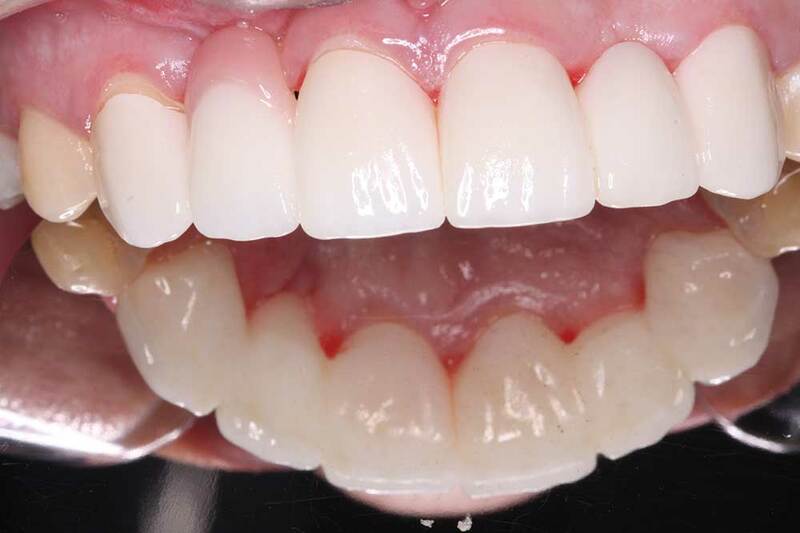 The advantage of this type of restoration is the teeth have to be prepared or cut down very minimally, leaving lots of tooth structure for strength. This material, also known as “ceramic steel”, is known for its durability. It is also very biocompatible and, as you can see, beautiful. The patient only had two appointments for treatment. There was the first appointment where the teeth were prepared, and whitening trays were made to whiten the surrounding smile. The preparation appointment lasted just over one hour. 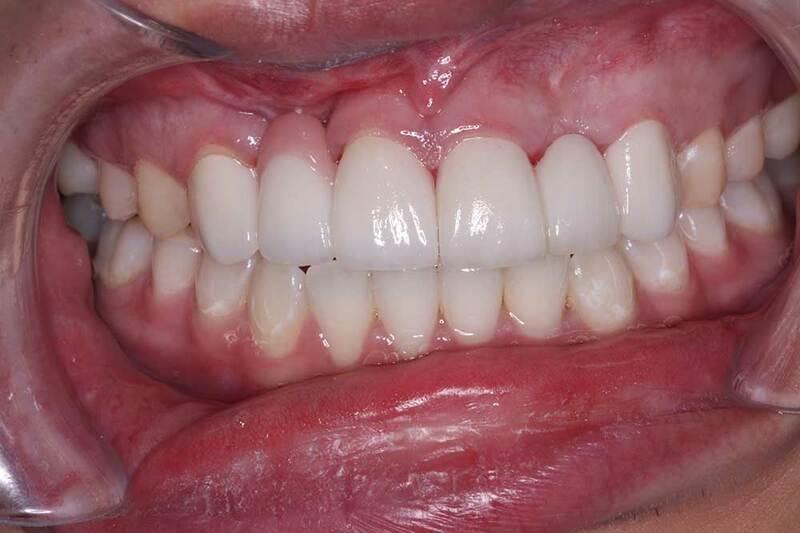 The teeth were shaved down very minimally only allowing necessary room for the zirconia and porcelain. Then Dr McOmie used his Trios scanner by 3 shape to scan the patient’s mouth and turn it into a virtual model. This was then transferred to Oral Arts Dental Laboratory in Huntsville, Alabama. 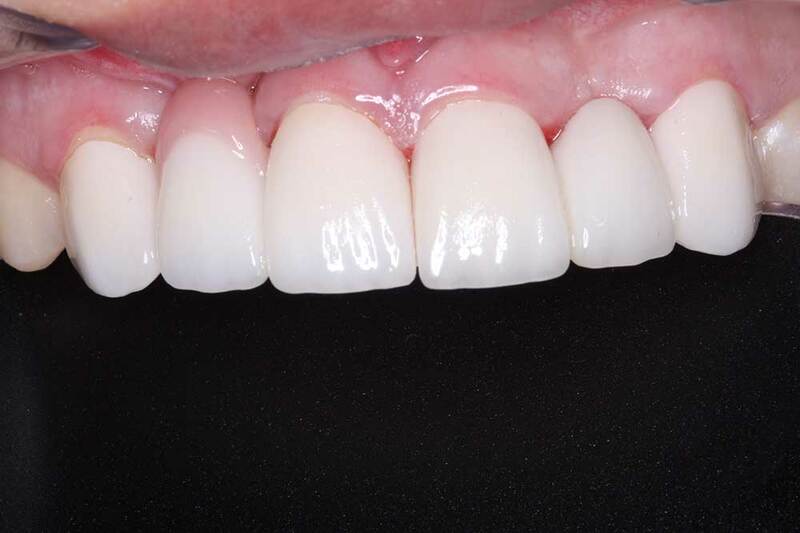 There the latest in crown design and milling technologies were employed to get the maximum strength and beauty out of the most current crown and bridge materials. Dr. McOmie consulted with the laboratory via conference call, photographs, and digital imagery to get the perfect design. 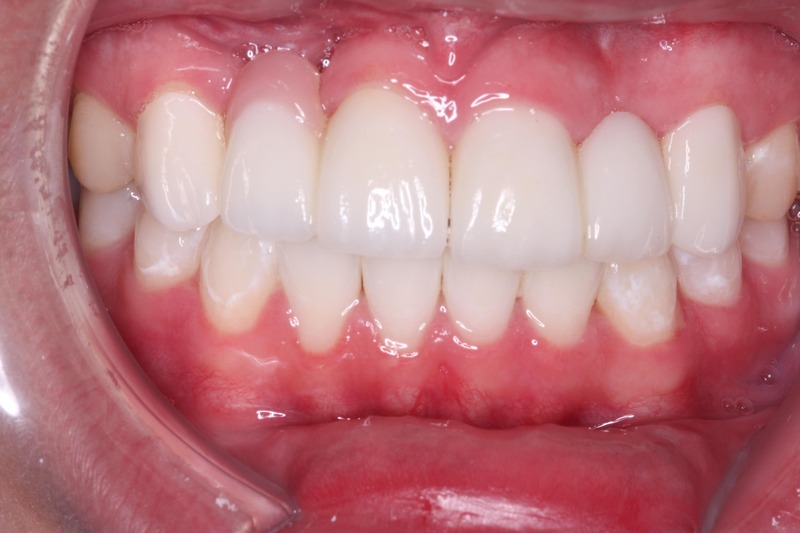 It was decided that some pink porcelain should be added at the gumline of the tooth on the patients right side. 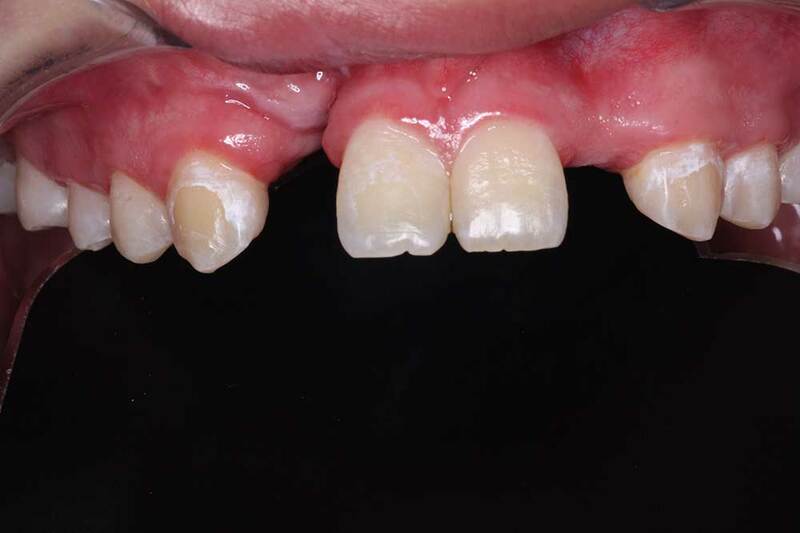 The “fake” tooth know as a pontic had to fill in the defect that was caused by the lack of bone from the birth defect. The teeth were able to be made symmetrically and to a very beautiful standard. Two weeks from the start of the case came the day when the patient was able to see himself for the first time with a smile with no teeth missing. Tears of joy were shed by everyone in the room; it was a joyful experience. Truth be told, he couldn’t put the mirror down he wanted to keep looking at the mastery that is now his smile. It was cemented in place permanently. The contrast from start to finish is drastic, and life changing. 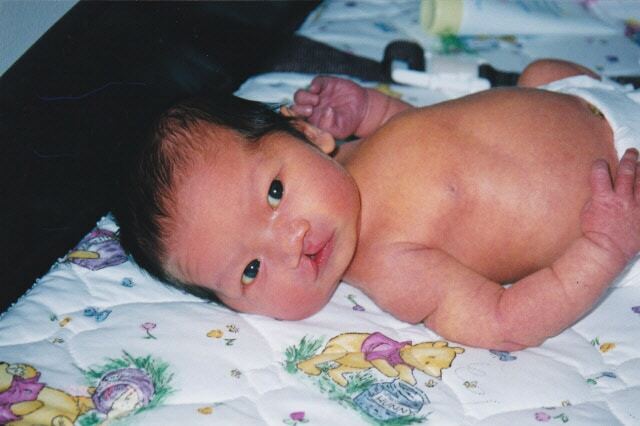 If you or someone you know has a cleft lip/palate, it is not a permanent situation. It will be fixed by masters at their craft. Dr. McOmie and his staff are proud to be part of the team that was able to give this beautiful smile to a very deserving person! McOmie Family Dentistry truly sits at the junction where science, technology and art meet.